Manipulating Weather by Cloud Seeding - voyages. The changing climate is causing reduced rainfall in many countries of Africa. After a significantly large increase in dry spells, countries such as Mali, Burkina Faso, Kenya, South Africa, Egypt, Nigeria and Ethiopia have turned to cloud seeding in order to produce artificial rain. Cloud seeding, seemingly ambiguous, is not the process of creating clouds. There are several methods possible for making a cloud produce rain, starting with choosing existing clouds within the area that have the most potential to produce artificial rain. The core idea in all methods is that clouds have to come into contact with a catalyst, which then makes the cloud condense more and produce precipitation. This catalyst can be calcium chloride, silver iodide, or dry ice. Planes and rockets can then be used to deliver the catalysts to the clouds. Within half an hour of contact, the clouds will produce rain. This process has been beneficial in a variety of ways for the lives of the population as well as the environment. This scientific breakthrough has allowed crops to grow in times of drought. Therefore, the prices of the crops are not being significantly increased due to the poor growth of the crops. People who could not afford the price of food during dry seasons are more likely to be able to afford it now, and cases of malnutrition in impoverished areas have potentially been prevented. Farmers are also able to make more profits from selling their grain, as they will have more to sell. Increased rain will also increase the water level of water reserves and rivers levels. The many benefits of this process overshadow the disadvantages. 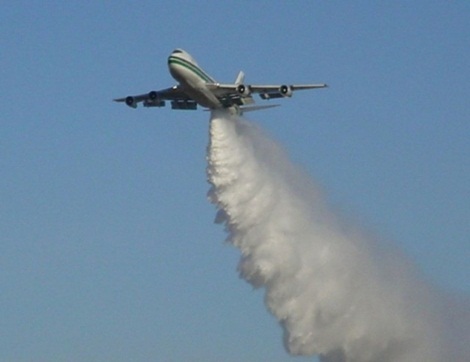 These disadvantages include the fact that cloud seeding is an expensive process and costs countries millions of dollars to adopt and maintain. The price varies greatly on the size of the area the country wishes to have rain, although funding is able to be obtained from other countries wanting to assist. Another disadvantage is that clouds move and timing is key for getting rain where desired. The catalyst has to be delivered at the right time to the cloud in order to precipitate right above the targeted land. Although this process has difficulties, for many people it is the only solution at present. Hopefully other solutions will be found in the future in order to give countries more options.